Good pricing that made it cost effective to buy this kit to keep for future problems. No issues at all, all gaskets and seals fit like a glove. only needed one gasket and it fit fine. 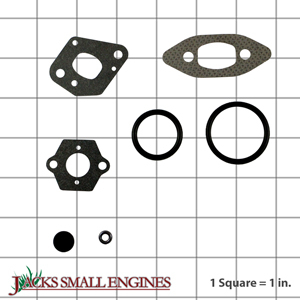 Ask us about the Poulan 530069608 Gasket Kit. Please no repair questions. Your Q&A may be posted to Jackssmallengines.com to help other shoppers, like you, with their purchasing decisions. Thank you.